Here’s your guide to the best fests & culture this weekend in Lincoln Park. 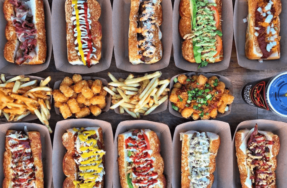 Chicago Hot Dog Fest returns for a fourth year featuring a wide variety of Vienna Beef hotdog specialties from the city’s top vendors. Enjoy live music throughout the weekend, capping off with headliners American English, JC Brooks and the Uptown Sound, and Catfight. Learn more about the history of Chicago’s favorite food and bring your best friend to the Pup Tent. Don’t miss a minute of The Summer Games and cheer on Team USA in the NEWCITY Plaza! NEWCITY will broadcast the games every night from 7-11p.m. 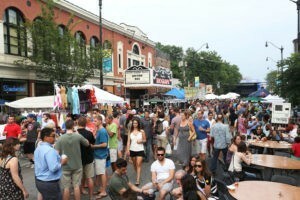 Chicago’s sweet summer vibe will be in full swing when Taste of Lincoln Avenue, one of the Windy City’s most iconic (and pioneering) street fests, returns for its 33rd fun-filled year to the heart of Lincoln Park. Highlights include nearly 20 music acts on two stages, a stand-alone “Kids’ Carnival” area, plus plenty of food, libations and arts & crafts. 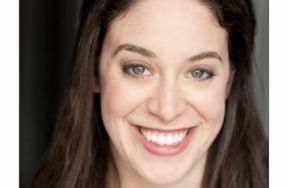 Victory Gardens presents a weekend of new play readings at the 2016 IGNITION Festival of New Plays. All readings are FREE and open to the public. Lincoln Hall celebrates MCA Day Chicago 2016, a celebration of Adam “MCA” Yauch and the legacy of the Beastie Boys. Enjoy brunch and live music in the beer garden at Gaslight this Saturday and Sunday.